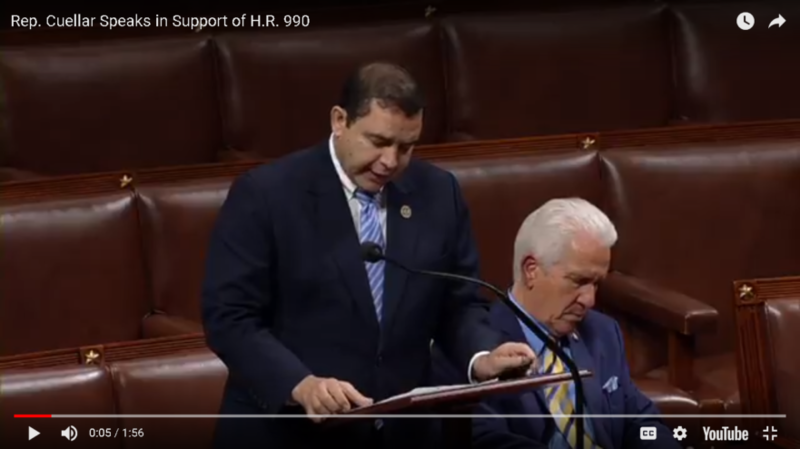 On Wednesday afternoon, 18 House Democrats joined all but one Republican in voting for a GOP resolution in support of Immigration and Customs Enforcement (ICE), a deportation force created in 2003 as part of the Department of Homeland Security that’s come under fierce national scrutiny for its detention and treatment of huge numbers of undocumented immigrants. One of the 18 Democrats, Rep. Henry Cuellar (D-Texas), has also received—and defended—campaign contributions from private prison giants GEO Group and CoreCivic, which are profiting enormously from Donald Trump’s harsh immigration policies. The Florida-based GEO Group has already scored $166 million in ICE contracts to detain immigrants this year alone and is on pace to eclipse its 2017 total, which was its highest on record. CoreCivic has received contracts totaling $103 million this year. Democratic leaders called on their caucus to vote “present” to signal they wouldn’t take part in what Minority Whip Steny Hoyer called “a political gotcha bill.” One hundred thirty-three Democrats voted “present,” while 34 Democrats and one Republican, Rep. Justin Amash of Michigan, voted no. TYT previously reported that several Democrats have accepted campaign donations from GEO Group and CoreCivic. Cuellar’s political committees have received the most private-prison cash of any Democrat so far in the 2017-18 election cycle, taking in $16,500 from the companies. Cuellar’s campaign accepted $10,000 from GEO Group PAC and $1,500 from CoreCivic PAC. $5,000 from GEO Group went to his leadership PAC, Texas First. The resolution, entitled “Supporting the officers and personnel who carry out the important mission of the United States Immigration and Customs Enforcement,” claims that abolishing ICE “would mean open borders,” a claim disputed by Democrats who want to abolish the agency, including Democratic House nominee Alexandria Ocasio-Cortez. FactCheck.org agrees with her. Alex Kotch is an award-winning investigative reporter whose work has appeared in The Nation, Vice.com, International Business Times, and Sludge. Follow him on Twitter.